Tan attended Hwa Chong Junior College. 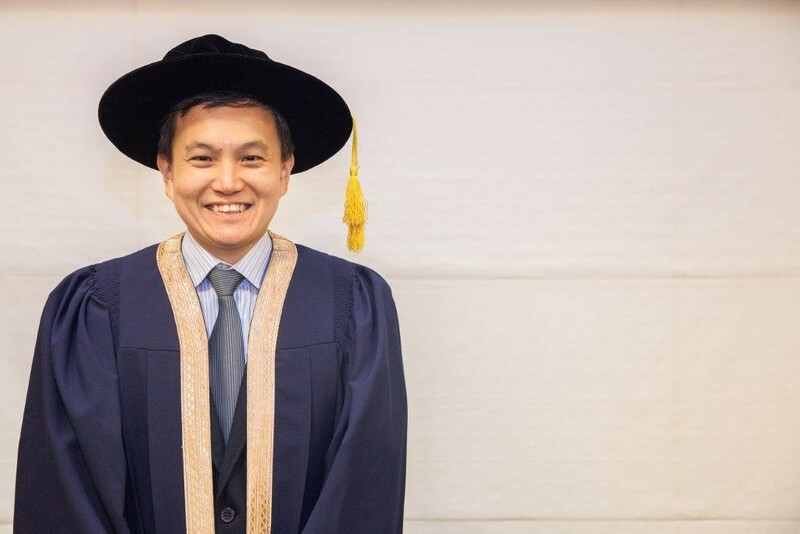 He graduated in 1995 with a Bachelor of Accountancy from Nanyang Technological University (NTU). During his days in NTU, he was the president of the university's Mensa club and the president of the university's Photovideographic Society. He also obtained a Master of Business Administration in 2003 from Yale University and completed a postgraduate course at Harvard University's John F. Kennedy School of Government in 2011. He is a Chartered Financial Analyst and a Certified Public Accountant (CPA) in Singapore and Australia. Tan started his career in 1995 at Keppel Corporation's treasury division, where he traded proprietary Asian equities and fixed income. Between 1999 and 2001, he ran the proprietary credit portfolio for DBS Bank before becoming a managing director at Amaranth Advisors. After leaving Amaranth Advisors, he joined Apollo Global Management and founded its Asian operations. He is currently the Asia-Pacific CEO of Trafigura and the first Asian to hold this position. Tan has sat on the boards of various organisations in the public and private sectors. The positions he held include: member of the Resource Panel for Government Parliamentary Committee for Finance and Trade and Industry; member of the Advisory Panel for Youth Corps Singapore; member of the Advisory Panel for the Ministry of Education; member of the Advisory Panel for the Ministry of Culture, Community and Youth; board member of Lien Aid Limited (Singapore), the endowment fund for KK Women's and Children's Hospital; advisory board member of Shanghai Jiao Tong University's Shanghai Advanced Institute of Finance; board member of Singapore Press Holdings; non-executive and independent director of Keppel Reit (until June 2017); member of Nanyang Technological University's board of trustees; member of the Monetary Authority of Singapore's Finance Centre Advisory Panel; and member of the Maritime and Port Authority of Singapore's International Maritime Centre (IMC) 2030 Advisory Committee.